Quotations about Benefiting Others. Quotes to stimulate mind and drive action! Use the words and quote images to feed your brain inspiring things daily! It is not enough to be compassionate. You must act. 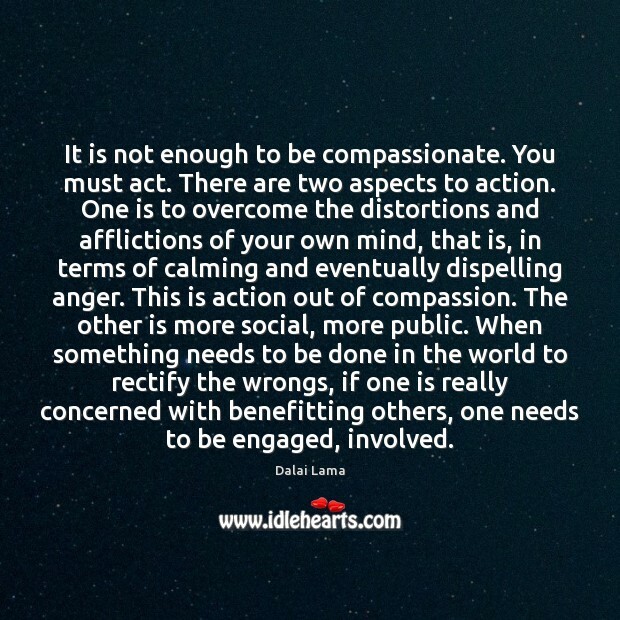 There are two aspects to action. One is to overcome the distortions and afflictions of your own mind, that is, in terms of calming and eventually dispelling anger. This is action out of compassion. The other is more social, more public. 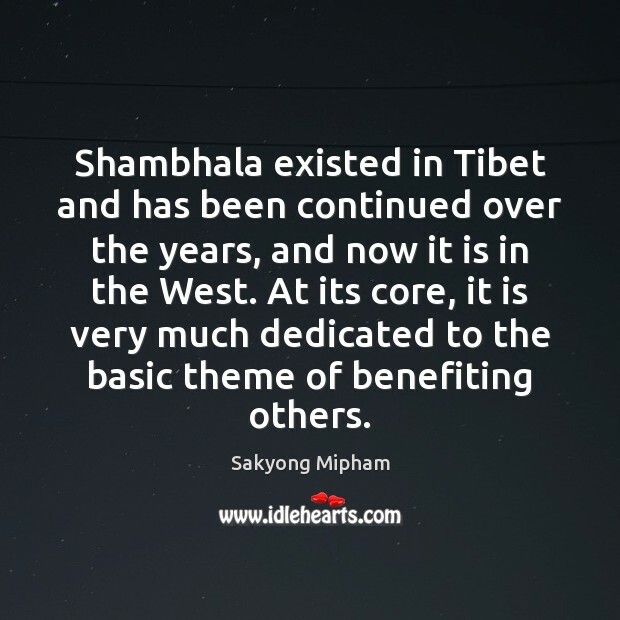 When something needs to be done in the world to rectify the wrongs, if one is really concerned with benefitting others, one needs to be engaged, involved. 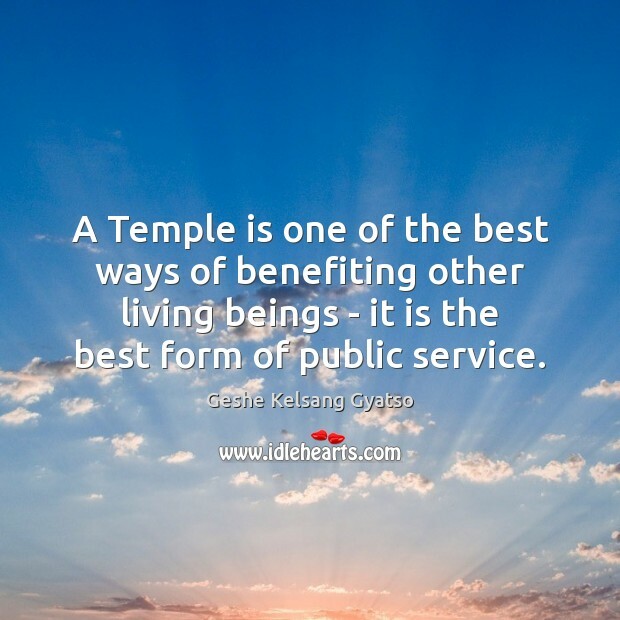 A Temple is one of the best ways of benefiting other living beings - it is the best form of public service. 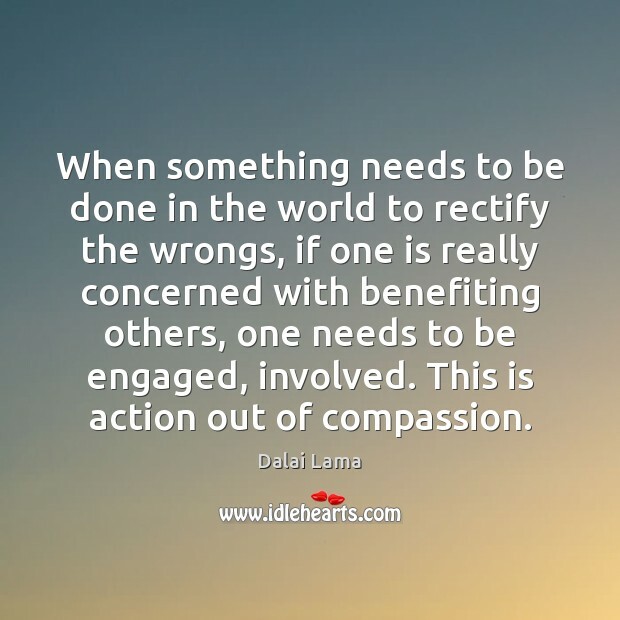 When something needs to be done in the world to rectify the wrongs, if one is really concerned with benefiting others, one needs to be engaged, involved. This is action out of compassion. 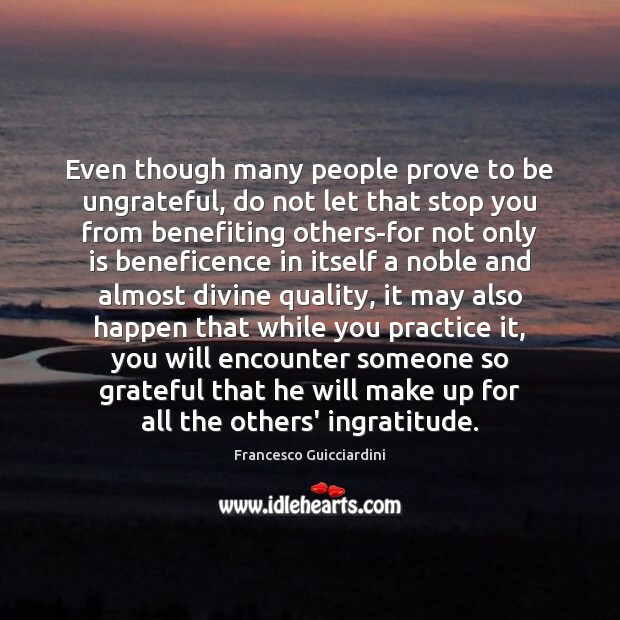 Even though many people prove to be ungrateful, do not let that stop you from benefiting others-for not only is beneficence in itself a noble and almost divine quality, it may also happen that while you practice it, you will encounter someone so grateful that he will make up for all the others' ingratitude. 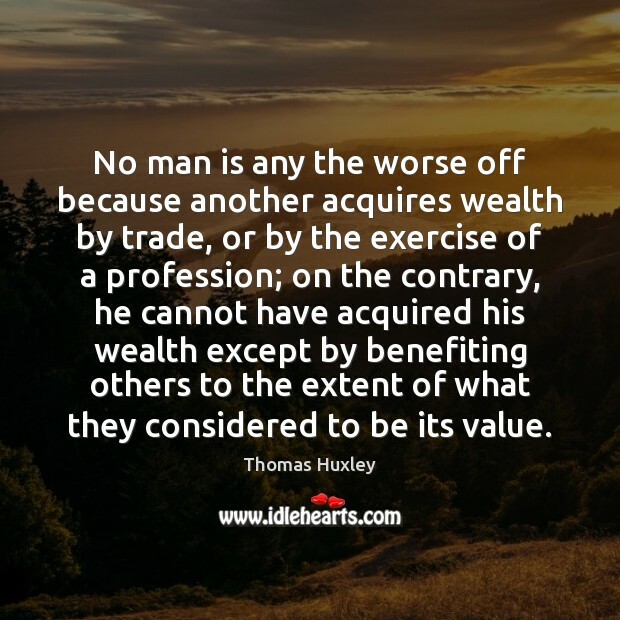 No man is any the worse off because another acquires wealth by trade, or by the exercise of a profession; on the contrary, he cannot have acquired his wealth except by benefiting others to the extent of what they considered to be its value.